I’m a big fan of LEGO Ideas sets. They’re unique and often include themes or subject matter that isn’t normally covered in other LEGO themes. 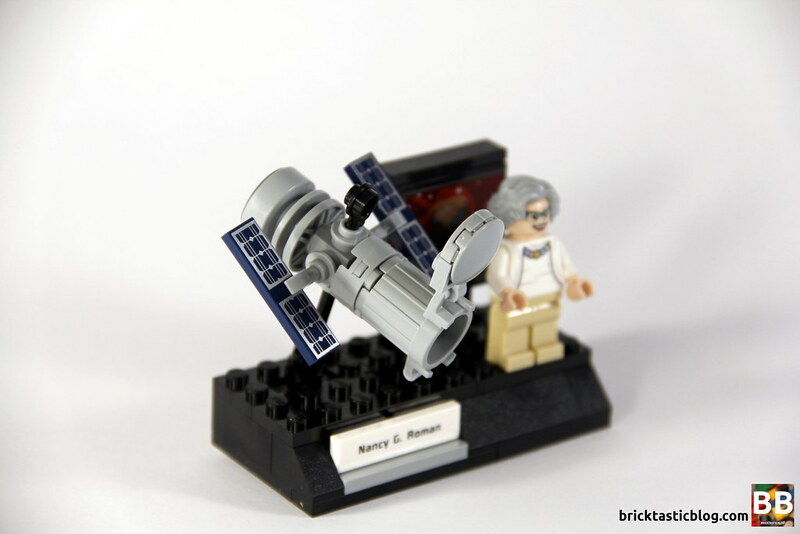 Space, however, is one of the most covered subjects in LEGO form. 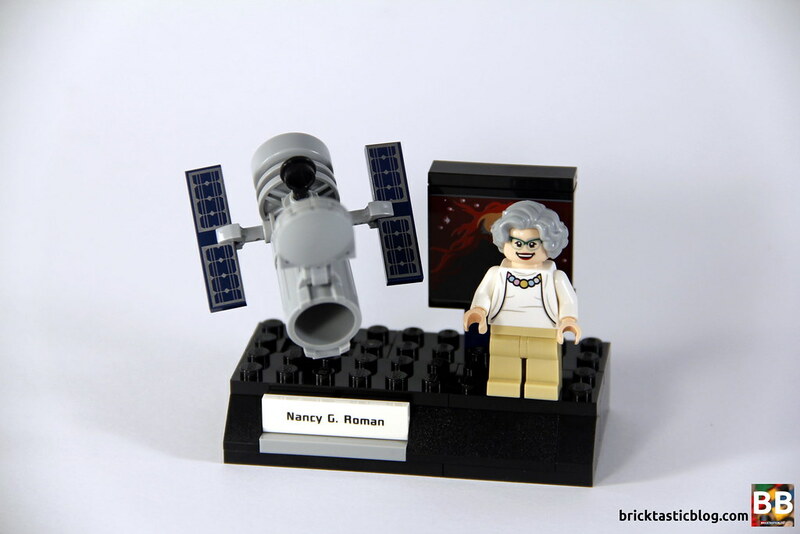 That doesn’t mean that this set, 21312 Women of NASA, can be overlooked, though. 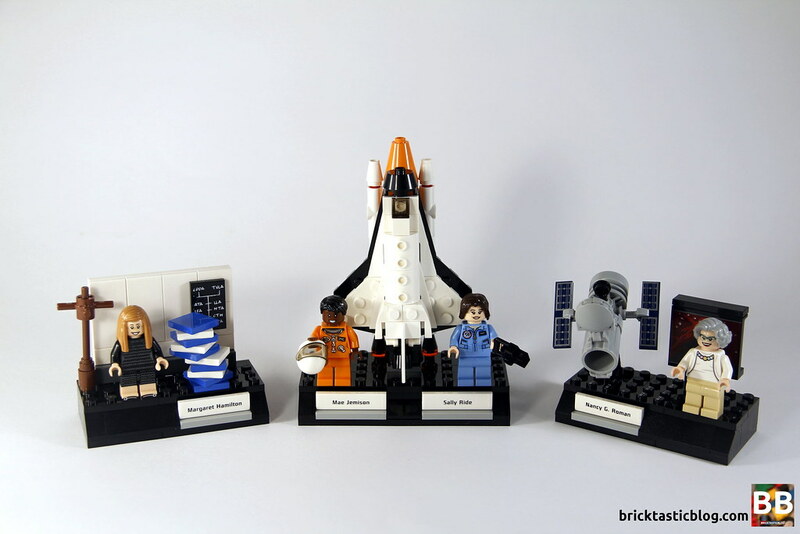 It’s set number 19 for the LEGO Ideas theme, set number four for the space genre (the other three being 21101 Hayabusa, 21104 MASA Mars Science Laboratory Curiosity Rover, and 21109 Exo Suit), and number two featuring only women, alongside 21110 Research Institute. How I would dearly love to get my hands on 21101 and 21104! Before I move on, I just want to mention that I’m not going to be adding lengthy thoughts to the debacle that’s been the community’s reception to this set, other than saying that I thought it was a brilliant and worthy inclusion, and to those that thought that this is a minifigure pack, with no building included, well look again. Astronaut, Engineer and Physician Mae Jemison, the first woman of colour in space. The original project also included mathematician and scientist Katherine Johnson, but due to a lack of approval, she was not able to be included. The project rocketed (yep, I said it) to the 10,000 supporter mark in just 15 days. The released set includes three un-numbered bags, and an instruction manual, all contained in a beautifully constructed box. The LEGO Ideas boxes are unique in that they can be opened and resealed without damaging the box at all. 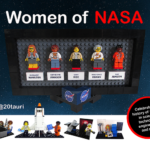 The instruction manual includes information about the four women of NASA, and information on Maia and the two LEGO designers, Gemma Anderson and Marie Sertillanges. 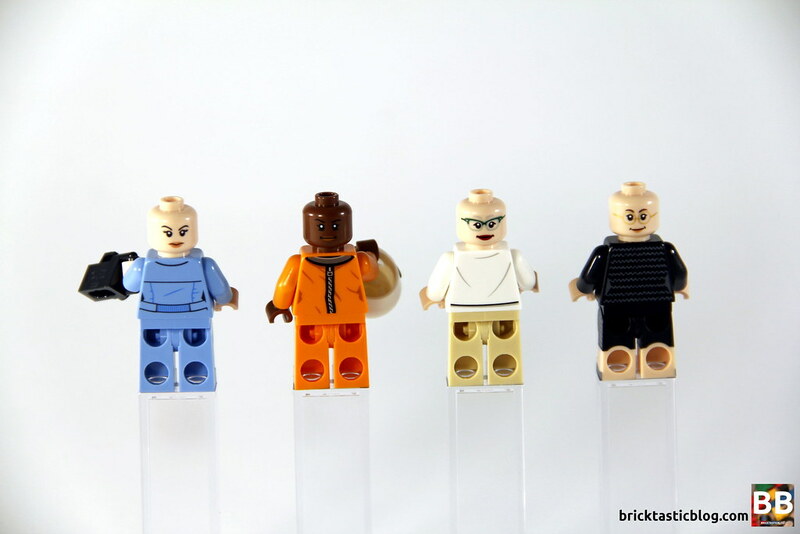 The four minifigures in the set all include brand new torso elements, printed front and back, as well as new heads for three of the four. 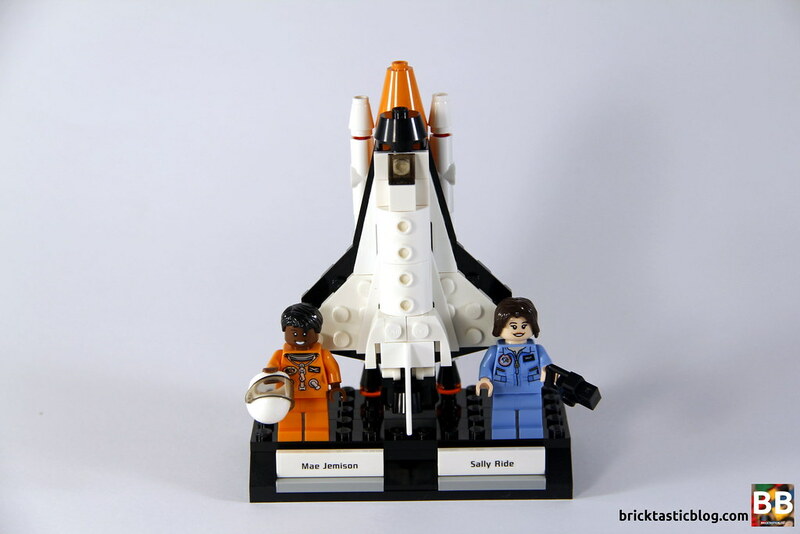 Sally Ride shares a head with 71257 Tina Goldstein, a Dimensions Fun Pack from 2016 depicting the witch from Fantastic Beasts and Where to Find Them. All of the head elements are double sided, with a grinning face and one of concentration. Margaret Hamilton has a knitted striped dress, which looks great, but it can easily be mistaken for shorts without the fabric skirt element. She’s also got black shoes printed on her feet. Her hair, while not a new mould, is in a new colour. Sally Ride has a blue jump suit, complete with ‘Sally’ printed on her name badge. The details on this and the other flight suit look excellent. Nancy Grace Roman looks fantastic with a white top and cardigan, complete with pearls and horn-rimmed glasses. Finally, Mae Jemison has an orange NASA flight suit, again with superb detailing. It’s excellent to have some more astronaut suits in the range! Other notable element inclusions are the plethora of printed parts – the blackboard 2×3 tile, the nebula image, the 1×4 panels from the Hubble Space Telescope, and the 1×4 name plates. 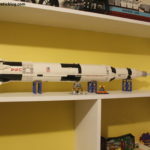 There’s also three small black cones (apparently called a fez), only seen in black in one other set – 21309 NASA Apollo Saturn V, and round 2×2 bricks with TECHNIC holes in orange, only seen in three other sets, among other parts. 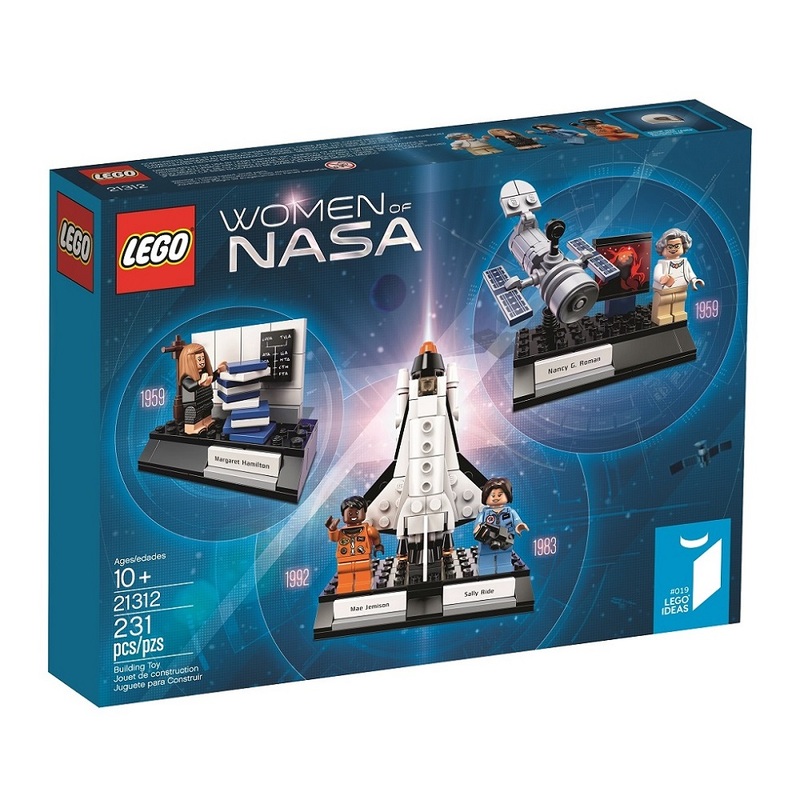 From the get go, as a display based set, 21312 Women of NASA is not really intended for play, but that doesn’t mean it can’t be played with! The two sections of the set that are definitely playable are still probably the only built portions that can be played with – the Hubble Space Telescope can be flown around, as well as the space shuttle. The shuttle in particular is good fun, as it can launch, disengage both the boosters and the fuel tank, and land. That said though, this won’t be a set that’s purchased primarily for play reasons. The beauty of 21312 Women of NASA is in it’s simplicity. There’s no complicated techniques, or pages and pages of instructions. It’s short and sweet. 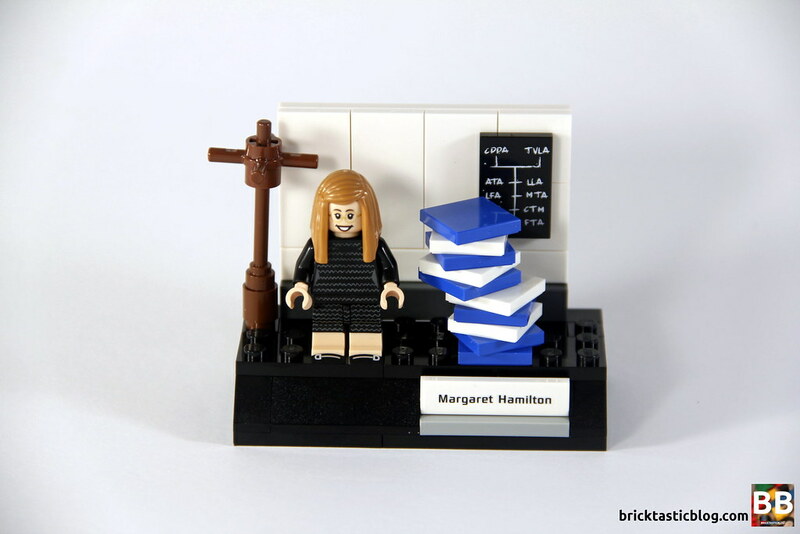 The minifigures are put together, followed by the vignettes, starting with the scene with Margaret Hamilton. This is the most basic of the three, but is nonetheless quite clever. It depicts Margaret Hamilton with the massive pile of Apollo code. You can actually read about the photo, taken at MIT, in an article written for the MIT News by Maia Weinstock, the fan designer. It’s very interesting, and I found out from it that the entire Apollo code was shared to GitHub for people to do what they wanted with! The build process for this scene is very simple. First the platform is created, followed by the wall behind – added in a simple but clever way, with the pile of code and the hat rack added last. Like I said, short and sweet! 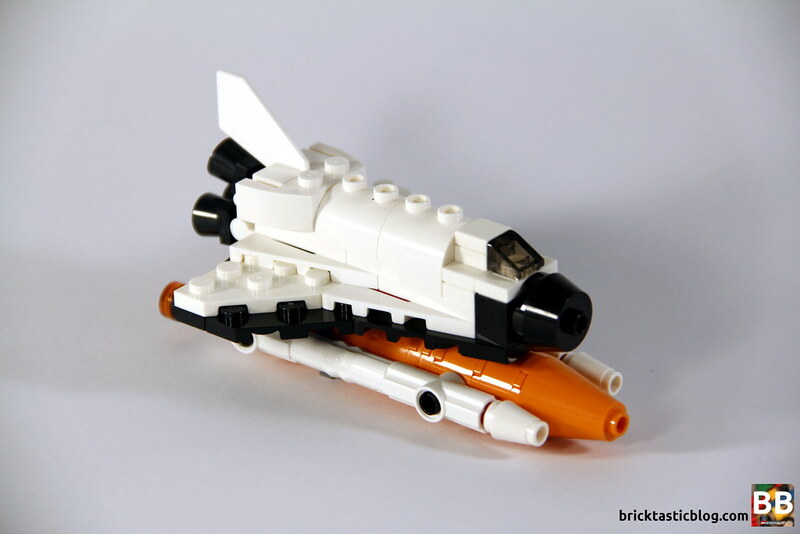 Next up is the star of the three vignettes – the shuttle that goes with the two astronauts. The microscale representation of the shuttle with fuel tank and boosters is still very simple, but a highly enjoyable build experience. Lastly is the stand with the Hubble Space Telescope. From the start, it looks like a random assortment of spare parts, but it comes together with a certain level of ingenuity that really makes it work, and work quite well. Along with the telescope is a printed ‘LEGOified’ image of the Cone Nebula, representing the original image taken in 2002. I often find it interesting to see how much has changed from the original submission, and 21312 Women of NASA has changed substantially since it’s initial project. It’s for the better though, as the project was much more simple. 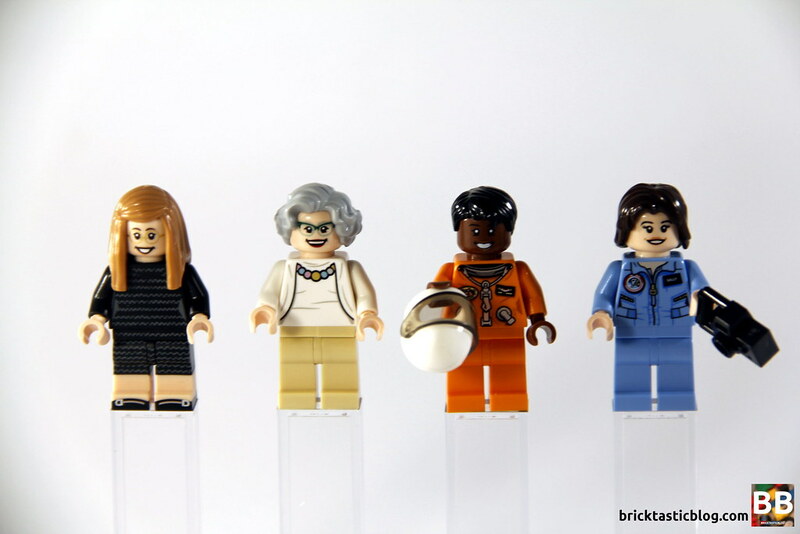 There have also been serious changes to the minifigures, but that was inevitable, as the LEGO representations would have to be more aligned with the actual people. The pile of code, while more authentic with actual books, would not have lasted if the vignette was moved even a minuscule amount, and the hat rack had gone through some improvements as well. The similarity in both the project and the set to the original image of Margaret Hamilton seen in the manual is excellent. The shuttle and attachments had some more detail and roundness included, as well as the stand (like all of them) bulked up. The new shuttle is fantastic. The shape of the wings is spot on and I love the inclusion of the tank and boosters. Lastly, and the most striking of changes, is in the Hubble Space Telescope. The detail in the released version is hugely different to the original, and looks excellent. One comment I will make against the set is the name plates. It’s a shame that the nameplates aren’t under each of the minifigures. It’s a simple tweak to make, but I would have thought that would be obvious. All of the vignettes are quite sturdy, and can be handled without elements falling off. This set is a good fun build experience, and for AU $50, is worth the money. At roughly 20c per element, it’s on the higher side compared to the sets I’ve reviewed recently, but it’s still affordable and will be quite popular. 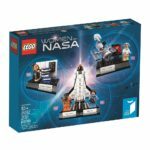 I anticipate this set increasing in price, however it won’t be as much as some of the other more recent NASA themed LEGO sets. LEGO Ideas sets are unique. Some fans want to get all of the releases, regardless of subject matter. Others pick and choose. I’m in the middle. There are some recent releases that I’m not interested in at all, but others I want to get purely to complete the theme as much as I want. This subgenre of space, though, only increases the collectibility. With multiple NASA and space releases across multiple themes in the last few years, 21312 Women of NASA is one to collect. It’s also unique in that it’s only of women, and has had it’s fair share of controversy and discussion since it was announced as a release. This set in particular will be great for young girls as inspiration for the future, or gifts from family members. It’s educational, inspirational, fun to build and looks great, and it’s space! There’s also historical significance, with further adds to the collectibility element. Mattel just released a doll based on Katherine Johnson for international Women’s day, so I’m guessing she had already signed exclusive rights with them. Correct. It was down to an IP conflict.